What did Abraham think of the promise? What should we think about it? Is it applicable to us, and our children as well? In Genesis 17:7 God said, “And I will establish My covenant between Me and you…for an everlasting covenant, to be God to you…” What did this mean to Abraham? The ratification of the covenant was a confirmation of what God had already promised to do for Abraham in chapter 15. After the information given to Abraham in this chapter, there is relatively little content that is added in further aspects of progressive revelation in terms of this covenant. In chapter 15, Abraham had believed God’s promises, and this belief was credited to him for righteousness. This was the Lord’s free gift of grace to Abraham – the father of the faithful. What, then, would it mean, that God would be a to him forever? What does chapter 17 do to the conceptualization of the promise set forth in chapter 15? Basic reflections about the passage should probed first. In considering these basic ideas, the primary meaning of the text will not change the theological questions that should be asked of the text, or the theological import of the text, though a healthy knowledge of the text itself will clear up the issues at hand. There are two pericopes that place an important impact on the narrative in this cycle 1) the previous implication of Genesis 15 on this text, and 2) the promise of God to work through Isaac and Abraham’s descendants in verses 2 and 7-14. First, the previous implications of the text in Genesis 15 are overwhelming to the view that Abraham would have thought that his “seed” and descendants are under the favor of God, and the Genesis 17 narrative would have Abraham presume them to be saved. God had said, “And behold, the word of the LORD came to him, saying, “This one shall not be your heir, but one who will come from your own body shall be your heir.” (Genesis 15:4). Abraham had believed that God would bless him with a son. That son would have a special relationship with God and carry on the line – not because of the son, but because of God. Abraham would have to presume that son’s inclusion in blessing and special status simply based on the promise God made to him about that heir. He did not waver at the promise (as Romans tells us) and the ratification of this promise is accomplished by divine oath and the spilling of blood in the circumcision event with Abram. Here God changes his status to Abraham, the father of nations. There was no need to waver at the promise since Genesis 15:4b uses the phrase “yarash” (vr y) in Qal form, which refers to the idea of taking in place of another or succeeding to, and inheriting. As God promised Isaac as a seed, Abraham would have no reason to doubt that God would continue His promises in Isaac and through to all his descendants. If Abraham disbelieved that Isaac would have been saved, or presumed him to be so as a covenant child, he would have wavered at the promise. This is enforced by Genesis 17. God says, first, “walk before Me and be blameless,” which is an ethical notation, and the Hebrew construction of the imperfect running through the passage expresses the intention motif of God. In other words, God will establish His covenant with “this kind of man – Abraham – he who walks before Him faultless and blameless.” But God’s promise is extended here, since in Genesis 12:1 God calls Abraham, and in 15 He promises Isaac, and in 17 he ratifies it all by covenant introspection. It is expanded to include the family, the seed, or Abraham’s descendants. Sarah and Abraham will propagate a godly seed in and through Isaac, based on the promise of God. There is no question that the word “eternal” in this section is does not appear in chapter 15. It occurs three times here (vv. 7, 15, 19). It fits nicely, though, that this would be the case since directions for obedience are set in this context of this pericope. God tells Abraham to “walk before me and be blameless,” “keep My covenant” and follow the ritual of “circumcision,” the covenant sign. God says that He is making a “covenant” with Abraham “between them”. Such a cutting is reminiscent of the previous cutting of the animals and the smoking fire pot (Gen. 15:17). Now such a cutting is in the flesh (circumcision) and the covenant sign of blood is placed on the Abraham and the seed. If a person walks before God as blameless and faultless, God will recognize him. We know, theologically, though, that those who are able to do this are the regenerate, those who live by faith (John 3:3ff; Galatians 3:1ff). Genesis 17:2 and 17:4 point to the reality that the ethics of Abraham are going to be copied, so to speak, genealogically from Abraham to the nations, “I will multiply you,” or literally “make you become exceedingly great” (i.e. descendents will come after him that are like him in his faultless, blameless stature – those God will deal with – and Abraham through them will be exceedingly great in number.) God will propagate seed like Abraham. This has connotations to Genesis 1:28 where the cultural mandate is found. “Go forth and multiply…” Adam, the priest of the garden, should propagate the earth with godly seed – more priests – to conquer the world in holiness. So we find that God changes his name to Abraham – father of nations – and establishes His covenant with Abraham, and the nations, or his seed after him (which is a parallelism, as is verse 7). God says, “And I will establish my covenant between me and thee and thy seed after thee in their generations for an everlasting covenant, to be a God unto thee, and to thy seed after thee.” The term “thy seed after thee” is literally “the sowing of your offspring” (zereh). God establishes, or “raises the standard” (koom) of His eternal berit or “covenant” with Abraham and with his descendants. Based on these very explicit promises Abraham believed that his descendants would have a unique relationship with God, just as Abraham does. Otherwise, this language is meaningless. So, God states that He will be a God to Abraham and his offspring after him – his descendents. The fixed preposition occurs both with Abraham “to him” and his descendents “to them.” God will be the “true God” to Abraham and to them. The covenant modus operandi will be progressively manifested, but will not have any more connotations that receive greater light in the Scriptures than it does here. It is used again in Genesis 28:21 where Jacob says “then the Lord shall be my God.” For God to be a God to someone is to demonstrate the promise of salvation. Other texts emulating this same motif run through to the law and prophets (Exodus 6:7; Jeremiah 7:23; Jeremiah 11:4; Jeremiah 30:22; Ezekiel 36:28.” Its implications lie behind many New Testament texts which demonstrate God as our God and Father (Matt. 6:9; Lk. 11:2; Rom. 1:7; 1 Co. 1:3; 2 Co. 1:2; Eph. 1:2; Phil. 1:2; Col. 1:2; 1 Thess. 1:1; 2 Thess. 1:1; 2 Thess. 1:2; 1 Tim. 1:2; Phlm. 1:3). Since the covenant surrounds salvation, of which no theologian today, dispensational or not, denies, Abraham’s interruption in the divine speech about Sarah concerning Ishmael is expected. Ishmael is going to be cast out, and this is a concern for Abraham who desires his son to be blessed. At this point a theological pause is in order. God called Abram out of Ur. He established a covenant with him, and says that this covenant is ratified in Himself (Genesis 15:4) and in the sign of circumcision (17:21-22). He states that He will be a God to Abraham and to his descendents. In the parallelism, both Abraham and his descendents receive the same “state” of relation. God is a God to him, and to them. The text cannot be any clearer than this. If God were a God to Abraham as a saving, loving, eternal covenant kind of God, would Abraham think any different about his offspring? Abraham knew his own state before God, one of relationship as a friend (James 2:23). Would Abraham have thought Isaac, by promise, was also a friend of God, though Isaac had even yet to be born? Was God telling the truth about his descendants of not? To answer this, consideration should be taken in the Ishmael parenthesis in the structure of the narrative, and then the Isaac narrative following in Genesis 21:3-4. Abraham is told that in Isaac God would continue to be a God to him, and his descendents. The covenant is not made simply with Abraham, but all his descendents. This covenant will be propagated through familial solidarity. He is amazed that such a thing could happen to an old man. But after realizing the power of God and the intention of God to be a God to him and his seed though Isaac, Abraham considers his son Ishmael. This is actually an interruption in the flow of thought. In structuring this section of the text, the palistophe rears itself, demonstrates that the reader would feel as though Abraham is interrupting the blessings of God upon Sarah. It culminates with Abraham’s “illegitimate” son. What of Ishmael? Abraham, as the loving father he is, cares for his son Ishmael and desires him to be blessed (17:18). In this portion of the narrative we do not have the text “and Abraham believed in God…” This is notable since in Genesis 15 Eliezer was going to have to be his heir, and God rebuked that in promising a son. After Ishmael comes along, Abraham desires to press that son, instead of Isaac, of which God had just spoken. This is why God’s speech here is in the form of a rebuke – “indeed” is used in verse 19 to demonstrate this. Sarah was not fond of Hagar and Ishmael. Certainly Abraham would have had contentions with Sarah about Ishmael (the son of Hagar, his secondary “wife”). But now he is contending for his “illegitimate” son. He will not be the son of promise. However, God demonstrates a compassion on a loving father and grants his prayer that Ishmael be temporarily blessed. (This is somewhat a play on words on Ishmael’s name.) This, however, does not mean that Ishmael is part of the promise – for the seed of Isaac is the propagation of the promise. Abraham, though, is bound by both the command to circumcise his household (in which Ishmael lives) as well as the promise of God to circumcise knowing that future descendants will be relationally God’s children. God, however, instructs Abraham that Ishmael will not be part of the promised blessing of the covenant. That is to remain in Isaac alone. Yet, by the covenant sign placed on him, Ishmael will need to walk faultless and blameless; an impossible task for those cutoff from grace. God does not “make or establish” a covenant with Ishmael, but does give him temporary blessings. The covenant is effectually made with the elect line (i.e. Abraham and his descendents after him). Another theological pause is needed here. If Ishmael is a son of Abraham, why then is the covenant not made with him as well? The covenant is propagated by Abraham and Sarah, not Abraham and Hagar. God has chosen families by which to progressively move His covenant promises through time. The prayer of Abraham for Ishmael seems to be strewn with anxiety. Ishmael is not part of the covenant, which renders the implications of Abraham’s anxiety well placed – Ishmael will be cut off from the covenant’s eternal nature and blessing. The “father of many nations” did not include the Ishmaelites, who proved a thorn for Israel later. It should also be noted that the promise in Genesis 15 concerning Isaac was made before Ishmael was born. God does not disown Ishmael here because of human conduct, but because of divine initiative. Thus, the descendants of Abraham are maintained in the everlasting covenant by way of God’s promise, and presumption, that the seeds are relationally His, not based on what they have done, but by His gracious covenant. Also, the “seed” concept seems to include, not only lineage, but all those in the household (something Luke will pickup in Acts). Should Abraham presume Isaac saved, even before he is born? This is the meaning behind God’s promises. God promises to be a God to him, Isaac, and his descendants after him. The moment God had finished speaking with Abraham in this Theophany, he immediately embarked on fulfilling his state – faultless and blameless as one walking before God. He enacted the rite of circumcision immediately (Gen. 17:22-27). What could have been going through his mind in circumcising Ishmael? God had rejected Ishmael by way of covenant. But all those in his house should be circumcised as a result of the command. Ishmael would later demonstrate his opposition, in his descendants, to the apple of God’s eye – Israel. As one is to walk “blameless” before God, the opposite being the case, and the covenant being shunned by rebellion, covenant curses are enacted. No doubt the reminiscent of Genesis 15 and the sacrificial pieces laid out would have been all encompassing on Abraham as he circumcised his son. In the act, he was setting up Ishmael (known to him to be cut off as a result of God’s direct intervention and supernatural revelation) for more wrath in the end. In Genesis 21:1-14 it states, “Genesis 21:1 And the LORD visited Sarah as he had said, and the LORD did unto Sarah as he had spoken. For Sarah conceived, and bare Abraham a son in his old age, at the set time of which God had spoken to him. And Abraham called the name of his son that was born unto him, whom Sarah bare to him, Isaac. And Abraham circumcised his son Isaac being eight days old, as God had commanded him.” It is more than obvious that Abraham believed this was the son of promise. Why? God had told him that this would take place in Genesis 17, and that God would be a God to him, just as He was a God to Abraham. The covenant sign would have meant much more in circumcising Isaac since it would have been inaugurated upon a positive note that Abraham believed Isaac was in a special relationship with God, based on the promise of God, and he circumcised him to demonstrate both to the clan, and to Isaac later, that such a relationship exists. God has commanded him to do this in Genesis 17:7ff. Isaac, now, was the child of promise. This is made known in Genesis 17:19 where God explicitly says that Isaac is of the saved lineage of the everlasting covenant, “I will establish my covenant with him for an everlasting covenant, and with his seed after him.” The continuation of such a seed, coming from Isaac, would have in the same way been presumed saved by those administering the sign. Isaac would have circumcised Jacob and Esau in the same manner. Abraham knew, by direct revelation that the promise extended to his seed, Isaac. God then says that such a promise extends to Isaac’s seed as well. This is an irrevocable, everlasting covenant that God maintains through the family (Malachi 2:15), and Jacob receives the covenant blessings, where Esau’s rebellious attitude breaks the covenant privileges. A third pause should be made. Paul, in Romans 9:8 and Galatians 3:16 demonstrates that the “seed” is Christ, or the line of the faithful – those who are blameless and walk faultless before God. The narrative in 12:1 parallels this idea in structure (“Go…that I may bless…”) But this does not make the “promise of none effect”, rather, it establishes the reality that two intersecting ideas are taking place: 1) the promise made to individual descendents and families, which will include Gentiles based on the “father of many nations” motif which the Jews should have realized, and 2) the spiritual element that only those of faith are the true heirs of Abraham. This, however, does not discount the reality that when a child receives the covenant sign, that the promise made by God to Abraham the father of our faith, should be disannulled. This would be preposterous. It would make God out to be a liar, and overthrow the Gospel as we have it in Romans and Galatians. We now move into the theological application of the verses here. 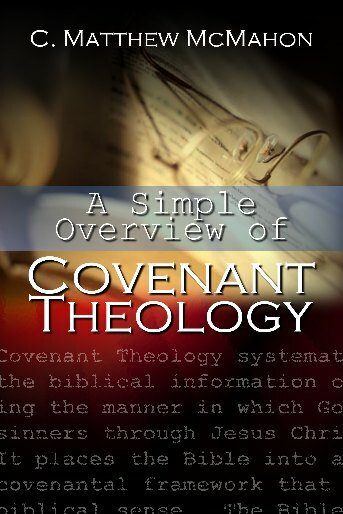 Dispensational theology has suggested that this is simply one covenant, or way of saving, that God had utilized until the coming of the “New” covenant in Christ’s blood. They believe there is a line of demarcation dividing both the Old Testament and New Testament in a way which “does away with” these “previous” covenants to make room for the “brand new” covenant in Christ’s blood. They forget, though, rather quickly, that the covenants God had made with His people all have a lasting impact on the state of the church as it progresses through the one covenant of grace. It is, in fact, one covenant of grace given to the church for the saving of their souls. Isaiah 24:5 says, “The earth is also defiled under its inhabitants, because they have transgressed the laws, changed the ordinance, broken the everlasting covenant.” This everlasting covenant is that which was made “with our fathers” or the Abrahamic promise that God would be a God to him and his descendants after him. It is important to remember that God maintains the covenant, not the simply thrown to the fire based on the sinful actions of men that consistently break it. The covenant is eternal. “Eternal” or without a predetermined ending at all, is how Christians should think about the covenant made with Abraham and ratified in its fulfillment with Christ. For instance, even previous to Abraham, God said to Noah that the rainbow would be a sign to Him not to destroy the earth. We still have rainbows today. God said to the serpent in Genesis 3 that the Seed of the woman would crush his head, and Christ had done just that. The same promise, and same Gospel given to Abraham is still with us as well, as both Zechariah and Mary attest to in Luke chapter 1:54-55, and verse 73, “He has helped His servant Israel, In remembrance of His mercy, As He spoke to our fathers, to Abraham and to his seed forever…to perform the mercy promised to our fathers And to remember His holy covenant, the oath which He swore to our father Abraham.” Jesus Christ fulfills and ratifies the covenant God made with Abraham. It may seem strange to think that Abraham had the Gospel preached to him and given to him, but this is what Paul says in Galatians 3:8, “And the Scripture, foreseeing that God would justify the Gentiles by faith, preached the gospel to Abraham beforehand, saying, “In you all the nations shall be blessed.” Paul obviously has much more in mind theologically than just the phrase “In you all the nations shall be blessed.” Yet, this is the keynote upon which the Gospel was given to Abraham, and so, Genesis 15 and 17 become pivotal texts for the establishment of God’s covenant of grace to the church, the “called out ones” modeling the “calling out” of Abraham in Genesis 12:1. In view of this, what did Abraham understand or believe concerning the Gospel? In other words, how was God a God to him forever? First, the covenant that was made with Abraham here is something God initiates. Abraham was not looking for God. God chose Abraham out of an idolatrous nation (cf. Gen. 12:1), and commanded him to leave his father’s house for a land He would show him. He was dead in sin and then rescued by the grace of God. Second, this covenant is something God maintains. God initiates the covenant and is the only one able to maintain the covenant through spiritual empowerment. Men cannot continue or uphold faithfully the binding nature of the covenant of grace. God alone, working through vessels of clay, upholds His covenant through time until it is consummated by the return of the Lord Jesus Christ. Circumcision for Abraham was as much a “covenant reminder for God” as it was a reminder of mortifying the flesh for Abraham. Third, this covenant is something He will bring into complete fulfillment. The covenant is not something left to chance, or the whims of men. The plan of God to bring about the fulfillment of this covenant is seen in the miraculous interventions, as well as the ordinary signs of the covenant, that God gives his servant Abraham. Fourth it is an eternal covenant that reaches beyond the temporary time of Abraham’s sojourn on earth. As Calvin says, Abraham would have been more stupid than a block of wood to believe that the covenant promises were merely “land, seed and blessing on earth.” Rather, this covenant embodies in it the Gospel of Jesus Christ. 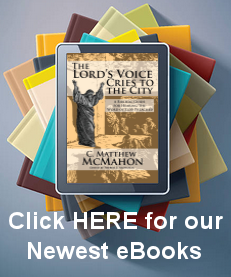 Abraham was after a city that had its builder and maker as God. If we were to put Abraham’s situation into modern theological terms, what various Gospel ideas would be concluded? One is obvious – Abraham was justified by faith alone. Romans 4:2-5 says, “For if Abraham was justified by works, he has something to boast about, but not before God. For what does the Scripture say? “Abraham believed God, and it was accounted to him for righteousness.” Now to him who works, the wages are not counted as grace but as debt. But to him who does not work but believes on Him who justifies the ungodly, his faith is accounted for righteousness.” Of course, Paul would be an imbecile to use Abraham as the example of faithfulness for New Testament Christians if in fact Abraham were saved in some other way. Abraham was justified by faith in the promise of God, just as we are. He is our father in this regard – the father of the faithful. This presses the point of Paul’s use of “therefore” in Romans 5:1. He then continues on to make theological applications concerning Christians as a result of Abraham’s example. Another theological conclusion from Abraham’s justification, would be that God has regenerated his heart, and made residence with him, for no one can enter heaven unless he is born again (John 3:3). No one could be justified unless he were first regenerate and indwelt by the Spirit of God. No one could be God’s friend without such grace (James 2:23). Abraham was the recipient of God’s grace, saved, and consequently believed the promise of God to him for the same Gospel given to him has been given to the Gentiles as well, “that the blessing of Abraham might come upon the Gentiles in Christ Jesus, that we might receive the promise of the Spirit through faith.” The promise of the Spirit was given to Abraham as it is given to Christians today. Abraham was also a very good theologian. He believed in the sovereign power of God, “He did not waver at the promise of God through unbelief, but was strengthened in faith, giving glory to God, and being fully convinced that what He had promised He was also able to perform (Romans 4:20-21).” He believed this earthly life was a sojourn, “for he waited for the city which has foundations, whose builder and maker is God (Hebrews 11:10).” He believed in the resurrecting power of God and in the miracles of God, “concluding that God was able to raise him up, even from the dead, from which he also received him in a figurative sense,” (Hebrews 11:19) speaking of the testing he went through with his son Isaac. He believed God answers prayer, “So Abraham prayed to God; and God healed Abimelech, his wife, and his female servants. Then they bore children (Genesis 20:17).” He submitted to God’s testing with contentment, never wavering at the promise of God, “By faith Abraham, when he was tested…(Hebrews 11:17).” Yes, Abraham was a good theologian. The same benefits of salvation that Abraham had, Christians have today. Jesus Christ is the same yesterday, today and forever. It should be noted that these words about Christ in Hebrews 13:8 reflect the nature of Christ’s promises. The writer of Hebrews exhorts Christians to be stable, not blown about by every wind of doctrine, because the promises of God in Christ do not change – they are the same always. And we should take a moment to ponder the reality that God is the same in His promises to Abraham as He is to us today with the same Gospel, especially in light of the fact that Jesus Christ is a priest in the same priesthood that mediated for Abraham. Jesus Christ’s priesthood is the greatest priesthood in the history of the planet. It is an eternal, never-ending, perfect, fulfilling priesthood. Why? It is of the line of Melchizedek, the priest of God, the righteous one, and king of Salem, in the city of peace. Note that Melchizedek’s priesthood is eternal and unchangeable. Hebrews 7:15-17 says, “And it is yet far more evident if, in the likeness of Melchizedek, there arises another priest who has come, not according to the law of a fleshly commandment, but according to the power of an endless life. For He testifies: “You are a priest forever According to the order of Melchizedek.” Now Melchizedek is not a priest in the linage of Jesus Christ, but Jesus Christ is a priest in the lineage of Melchizedek. His priesthood is better than Aaron’s because it is of the priesthood of Melchizedek which existed before Aaron’s. Hebrews 7:21 says, “(for they have become priests without an oath, but He with an oath by Him who said to Him: “The LORD has sworn And will not relent, ‘You are a priest forever According to the order of Melchizedek’ “), by so much more Jesus has become a surety of a better covenant.” Melchizedek ministered to Abraham in Genesis 14:18. That priesthood is an effectual priesthood, and as Melchizedek is a type of Christ, so Christ ministers to Abraham through Melchizedek. As Genesis 14:18-19 says, “Then Melchizedek king of Salem brought out bread and wine; he was the priest of God Most High. And he blessed him and said: “Blessed be Abram of God Most High, Possessor of heaven and earth.” God had blessed Abraham with the bounty of earth, and the heaven itself. The spiritual realities of the Covenant of Grace that Christ would fulfill were ministered to Abraham through Melchizedek, and they were real and profitable to Abraham. That is why he is the father of our faith. That is why Paul uses Abraham as our example. That is why we must not forget that the mysterious ministry of Melchizedek to Abraham was spiritually fulfilling. (It should even be noted that Abraham was the first to partake of the type of the Lord’s Supper – bread and wine – Melchizedek ministered Jesus Christ to Abraham.) It was even administered before God made His sure promises known to him in Genesis 15 and 17! God was a God to Abraham in and through the types of Christ to come by way of the eternal priesthood of Melchizedek, as well as the realties and promises surrounding the same Covenant of Grace that Christians partake of today. Jesus Christ came to ratify this by the oath of God, and continue as High Priest for His people, interceding for them right now at the throne of God. What richness and blessing did Abraham delight in that God was his God! How blessed are we to partake of the same promises realized in Jesus Christ! Christ was the minister of circumcision to Abraham. Romans 15:8 states, “Now I say that Jesus Christ was a minister of the circumcision for the truth of God, to confirm the promises made unto the fathers.” Christ confirm these promises, those he has fulfilled, to the fathers of the faith – the patriarchs. He ministered to Abraham these promises and confirmed it by the oath of God before time began (Psalm 110:4). All the orthodox agree that Abraham was God’s adopted son by grace – called, regenerated, enacting faith, justified, sanctified and in heaven with Christ. This is what it means that God would be a God to him. Those among the church community today who have faith like Abraham are the heirs of the same promise that God gave Abraham. Jesus Christ is actively propagating new seed in the lineage of Abraham, regenerating hearts and implanting the ability to exercise faith. Christ ministers to Christians today just as He did to Abraham through the priesthood of Melchizedek. But with Christ, everything is made complete and permanent. Christians are privileged to look back upon what Christ has done, instead of waiting for Christ to come in all His fullness, as Abraham eagerly expected. How, then, is this spiritual faith deposited or propagated? How did Abraham think about this? Did he have a further need to think Eliezer would be his heir, or did the promise of God in a son that would come from his loins press him to consider the state of his physical relations based on that promise? Certainly it is the latter. God deposits the elect in the loins of his people, and he calls into the fold other sheep that must make up one whole fold. Abraham will be the father of many nations. And shall we adjoin spiritual ecstasy with more of the glorious promise? It is true; God was a God to Abraham. But that is not all the verse says. God said, “And I will establish my covenant between me and thee and thy seed after thee in their generations for an everlasting covenant, to be a God unto thee, and to thy seed after thee (Genesis 17:7).” Not only was God a God to Abraham by sovereign grace, but the dictates of the covenant also included his descendents as well. God would be a God to Abraham and his descendants after him. The question is, do we have the same faith that Abraham had? Are we children of the faithful believer in the promises of God? Do we believe the same Gospel, the same promises that Christ ministered to Abraham? Is Melchizedek’s, Christ’s, priesthood the same yesterday, today and forever? Do Christians believe what is written in the Word of God rather than trying to pick apart the decreed counsels of God to tell whether their children are saved or not, actually doubting the promises made to them by Christ? How glorious a thing it is for Christians to embrace the promises of God for themselves and their children for all time. How wonderful it is that such promises are to be had! How excellent it is that Christians can follow in the footsteps of their father Abraham, to believe the promises of Christ and His covenant, to you, and your descendants after you. Yes, God desires godly seed (Malachi 2:15; 1 Cor. 7:14). But God desires that we, first, have the unwavering faith of the patriarch to whom the promises were given. Yes, Abraham had God as his God. He believed the promises were for him, and the line of children through Isaac, as God made abundantly clear. He believed. That is why he is our model. Abraham was nobody special. He was a nomad from Ur of the Chaldeans – a pagan. But God was gracious. He called and saved Abraham, and made promises to him about his children. And Abraham was faithful to believe. The theological question here is posed – did Abraham believe, prior to administering the sign of circumcision, believe Isaac, by promise, would be saved? If the reader has followed even a cursory reading of this passage, there is no doubt to this. This is in contrast to those adults who were circumcised in Abraham’s home upon the first initiation of the sign, since, as God said, they would have to yield themselves to circumcision or be “cut off” (Genesis 17:4) and lose all sense of a very important aspect of culture – familial solidarity. If after the circumcision took place, and an adult male (say a servant) came to Abraham and sat with him to ask “Does God look upon me with special favor?” what would be the Abrahamic answer? Most assuredly, if you believe. And yet, if Abraham were to consider, then the progeny to come, he would (and did) based on the promises of God, look at that eight-day old child as saved according to God’s word. If he were to waver on this, he would have disdained the promise altogether, and the sign would then be a meaningless ritual – this is what the Jews made it later on. There is also the contention that Paul saw circumcision as unnecessary or unneedful (Romans 2:28; 1 Corinthians 7:19), that circumcision is “nothing.” This though, is to wrest the passage from its context. To say that a mere outward observance of the sign administered to the child saves them would be to blaspheme the promise. Abraham was credited with righteousness before circumcision, not after or by it. There are those such as the papists and the Auburn 4 who believe that the sign itself holds a “grace” that is instituted upon the unregenerate subject yielding them, after the rite, regenerated, or infused with righteousness. This is the epitome of works salvation – which Paul, in every circumcision instance in Romans and Galatians, refutes with vigor. The rite initiates nothing. The Jews thought it initiated everything. Rather, the sacrament, the sign, demonstrates, or outwardly proclaims, what God has done inwardly. Abraham’s presumption of Isaac’s salvation was not based on the rite of cutting the foreskin, but upon the promise that God would already be a God to him, and that circumcision, as baptism, demonstrates the union that already has taken place based on that promise. Otherwise it would have been fool-hearty for God to promise any given line, since, hypothetically, those children would rebel later on. To say, then, that the rite of circumcision or baptism actually saves, or regenerates the heart, is to say that by mere external adherence one may actually save another person. 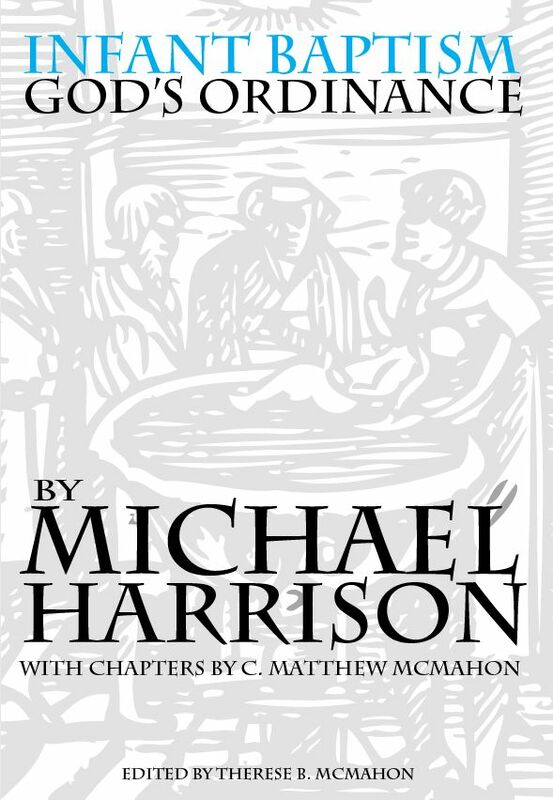 This aberration of circumcision (or the sacrament of baptism) is detestable to every text dealing with the issue that can be found in the Bible, and vividly seen in the contention that John the Baptist and Jesus had with the Pharisees and Sadducees who believed they were Abraham’s children based on external administrations. In no way does circumcision or baptism save. Rather, those rites confirm what God has already done in the heart, or what the administration (Abraham or the parents handing the children over to be baptized) demonstrates. Otherwise, the rite would be meaningless, and it would neglect holding fast to the same promises of Genesis 15 and 17 that Abraham did, and that Christ fulfilled on our behalf. All of what has been said so far, then, demonstrates the necessity of believing in sovereign grace to save, rather than the Arminian notion that we should wait until we see something in men to determine their eternal state, and then administer the sign of the covenant upon them. If that were simply the case, God would never have instituted a familial solidarity around the sign, nor would He have given the sign to families in the first place. In every case of baptism we are presuming they are converted. Hopefully, by grace, they are. Imagine thinking in reverse to the promises of God. Let us hypothetically say that God desires Abraham to place the sign upon his son presuming him to be lost not a son of promise. Abraham talking with his 15-year-old son Isaac would go something like this. Isaac: Father, does God love me? Abraham: Because God had to first save you before He can love you. We have to treat you like you’re one of the Amalekites until we know God has regenerated your heart. Isaac: You mean treat me like a heathen? Abraham: Exactly. Until God saves you, you are a heathen. Isaac: But why do I have this special mark on me from my infancy? Abraham: God told me to put in on you. Abraham: He said he would be a God to me and to my descendants after me. Isaac: I am one of your descendants, right? Abraham: (chuckle) of course you are – you are the son of promise. Abraham: Promise that God would continue the line of salvation through you if you have faith. Isaac: How could God be a saving God to me if He didn’t love me specially? Abraham: He will be a God to you if you obey him. Isaac: So the promise is based on a condition that I do? Abraham: Well, yes. I mean no. I mean, Hmmmm. Isaac: I guess it is not much of a promise if the condition rests on me. Abraham: Well it rests on God, but, then the sign does not make much sense, does it…because that means the sing is meaningless unless we know you are saved, and unfortunately, we cannot ever know that, but must simply presume it. Abraham: I think I am too. Let’s go read Genesis 15 and 17 together and see if we can sort this out. When a believing parent looks at their child, they remember the command of God to Abraham, as well as the promise of God to him. This promise hermeneutically applies to the Christian, as well as to Abraham. It is the covenant promise made with Abraham that Jesus fulfills (Hebrews 2:16; 6:13; 7:17). For the Christian, then to despise the promise is to despise the same Gospel preached to Abraham, as it is preached to us. When the Son of Man returns will he find faith? Or not? Will He find a believing people that hold steadfastly onto the promises of God or not? Will they have the faith of their father Abraham? Will they sit down at his table and eat with him? Are we children of the God of Abraham, Isaac and Jacob – the God of the living? To say a child placed in the visible church, a child of promise by God, simply meant “earthly privileges,” is to undermine the entire tenor of the promise in the first place, and then, secondly, to undermine its intentions in Jesus Christ fulfilled. That does not mean that the Covenant of Grace is made actually with every child. Rather, it is made only with the elect. But the external administrations of the covenant render the curses. Yet, is this how god wishes us to think of our children? Are we baptizing them to ensure a curse as Abraham circumcised Ishmael? Or is it that God desires us, like Abraham, to believe the promise? Wenham, Gordon J. Vol. 2, Word Biblical Commentary : Genesis 16-50. electronic ed. Logos Library System; Word Biblical Commentary, Genesis 17:1. Dallas: Word, Incorporated, 1998.